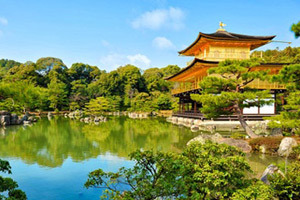 Tourist attractions in Northern Kyoto are so scattered and distant from each others that a lot of visitors stick to the unmissable Golden Pavilion and the famous rock gardens of Ryoan-ji. 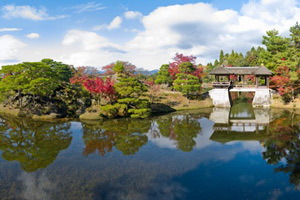 Visitors with enough time on their hands will be rewarded by exploring the Daitoku-ji and the Enryaku-ji (on Mount Hiei), two of Japan's most impressive temple complexes, and the Shugaku-in Imperial Villa, which boasts one of the greatest masterpieces of Japanese gardening. 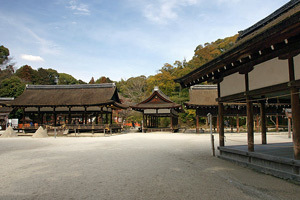 Also of interest are the Shimogamo and Kamigamo Shrines, which host the Aoi Matsuri on 15th May, one of Kyōto's three great festivals. 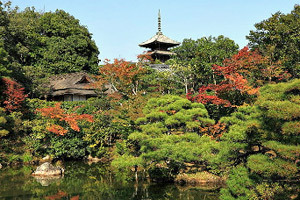 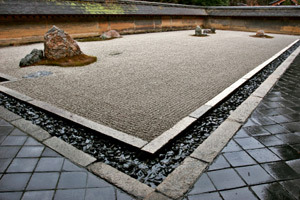 Off the beaten tracks, Kōzan-ji Temple is a quiet, modest hillside retreat, famous for its tea garden, the oldest in Japan. 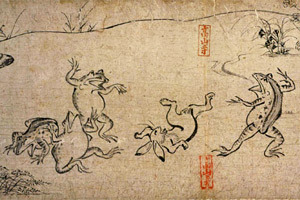 It is also here that Japan's first manga was drawn in the 12th century, the Chōjū-giga picture scrolls. 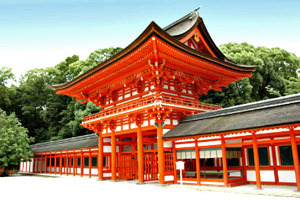 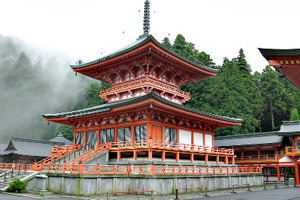 Founded in 678, the the Kamo-wakeikazuchi Shrine is one of the oldest Shinto shrines in Japan. 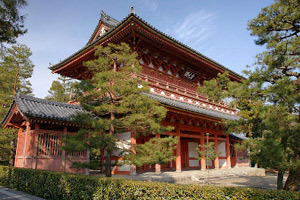 Like its sister shrine, the Shimogama-jinja, it is dedicated to the Kamo deities, whose role is to protect Kyoto from evil spirits.